Coming from a family of Hong Kongers, wonton mee has been part of my diet since I was a kid. My grandma would make the dumplings from scratch, ensuring every wonton ends up plump and perfected. 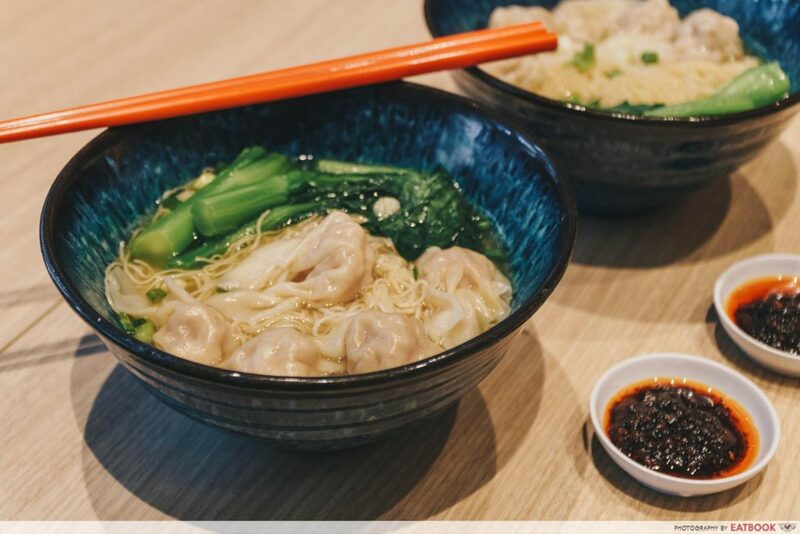 Hong Kong-style wonton mee is slightly different from Singapore’s. The wontons are fatter and chock-full of meat and prawns, and the dish doesn’t usually come with char siew. When I’m craving for affordable HK-style wonton mee in Singapore, a place I’d head to is Hong Kong Sheng Kee Dessert. 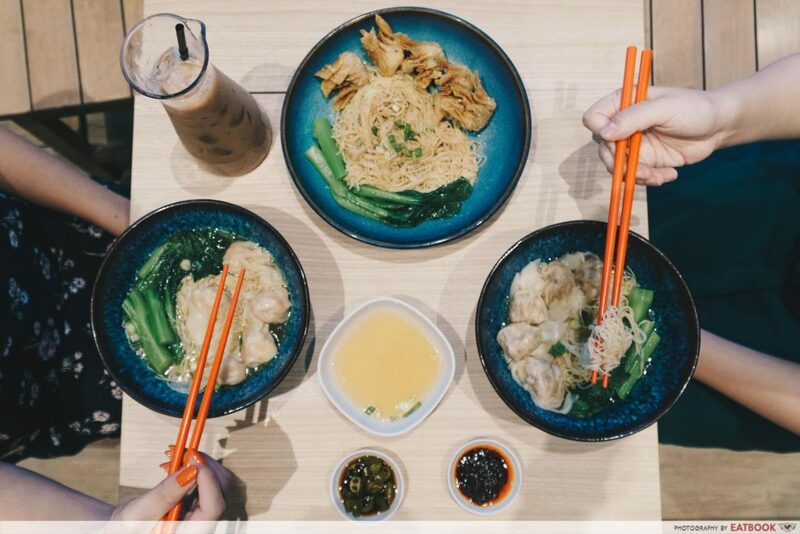 Taking wonton mee up a notch is their HK Wanton Noodle ($6.90++). 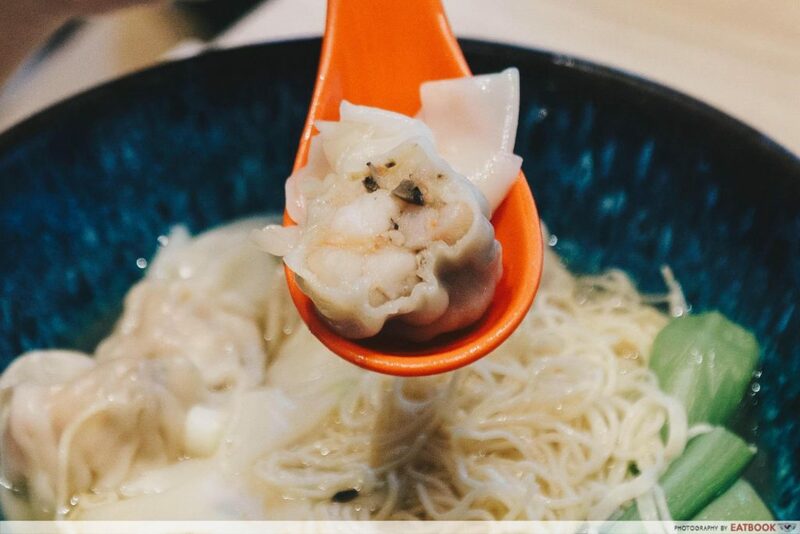 The wontons are handmade daily and comprise atas ingredients such as kurobuta pork and fresh prawns. These really made the dumplings stand out from regular hawker ones, as the chunky prawns gave each mouthful a good bite, complementing the savoury pork filling. I was wondering why the noodles tasted just like the ones I had in Hong Kong until I realised they were imported from the city itself. While it’s very similar to mee kia, the egg noodles here are springier and doesn’t have that alkaline taste which I dislike. Despite being soaked in soup, the noodles stayed firm to the bite all the way till I finished my meal. The umami soup was delicious too. Boiled with ingredients such as chicken, pork bones, sole fish and Jinhua ham, the flavourful broth was well-balanced in taste. 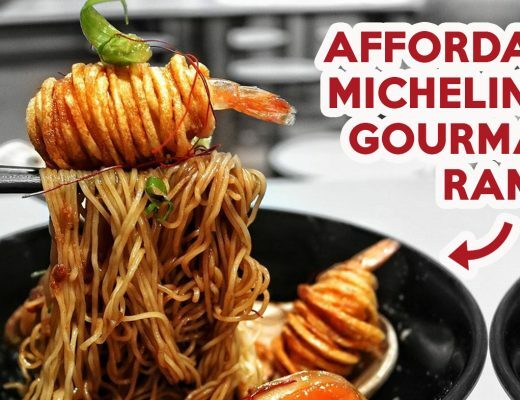 If you want something even more atas, check out their new Truffle Wanton Noodle ($8.90++). Available from 7 Nov to 17 Dec 2018, this upgrade offers wontons with black truffle oil. Biting into the wonton, you’ll find black bits of truffle as well. The aroma of truffle oil is subtle, ensuring that the taste of the original ingredients aren’t overpowered. 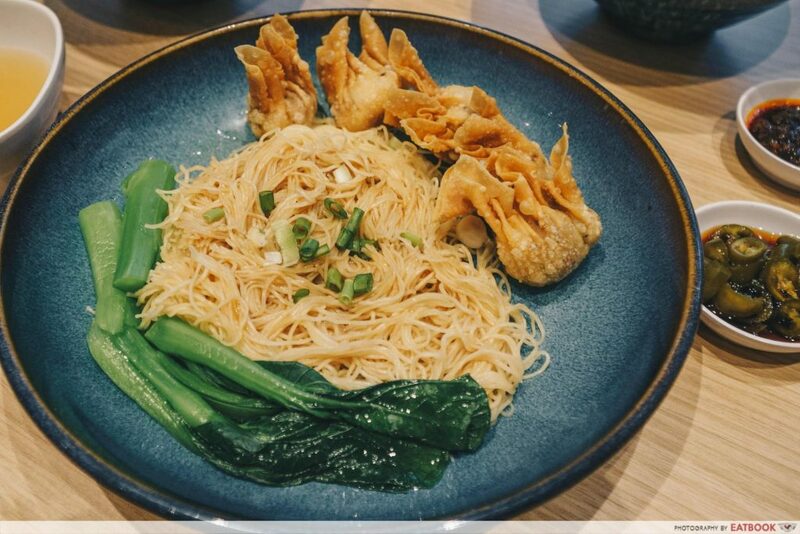 The Truffle Wanton Noodle also comes in a dry version, where the scrummy noodles are tossed in oyster sauce. The truffle wontons are deep-fried, so this is definitely one to consider for cheat days. 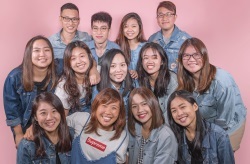 Here’s a lobang: download the Plus! 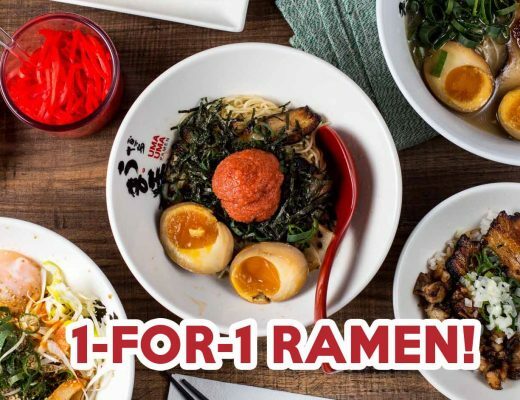 App on your phone to get $2 off the HK Wanton Noodle or Truffle Wanton Noodle from 24 Oct to 30 Nov 2018. Aside from wonton mee, Hong Kong Sheng Kee Dessert offers many other Hong Kong dishes and desserts. 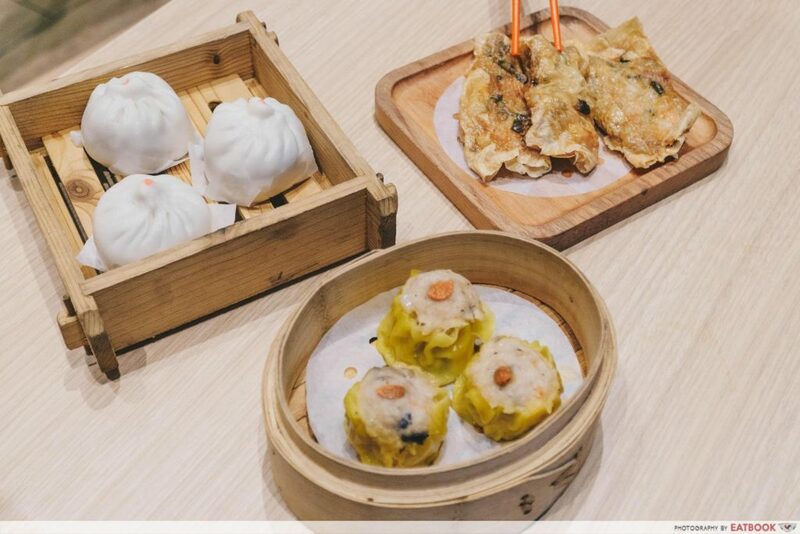 Dim sum lovers will enjoy their Siew Mai ($4.30++ for three pieces) and Beancurd Skin Roll ($4.90++ for three pieces). Those with a sweet tooth will like their creatively served SK Mango Pomelo Sago ($6.50++). 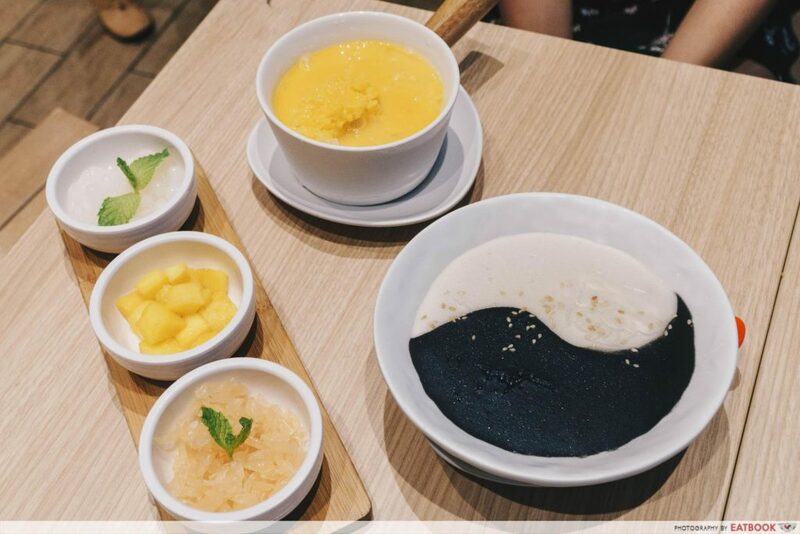 This signature dessert lets you add fresh mango cubes, pomelo flesh and white pearls to a pot of rich and creamy mango sago. 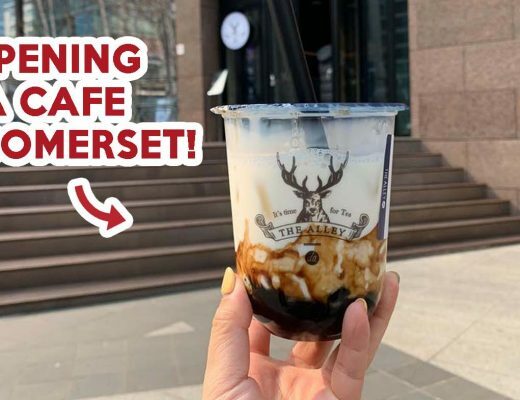 So if your next Hong Kong trip is still months away, just pop by one of Hong Kong Sheng Kee Dessert’s outlets to fend off your cravings till you fly!